Film lovers will feel right at home in the city of Madrid, which boasts a variety of cinema-related activities and events. Whether your preference is arthouse or blockbuster, there’s plenty for the movie buff to enjoy. Starring Penelope Cruz and filmed in the capital, it portrays an unusual family dynamic: the main character, Raimunda; her 14-year-old daughter Paula; and Irene – the ghost of Raimunda’s mother. More from Almodóvar’s distinctive body of work, this 1987 movie revolves around a homosexual love triangle. Starring Antonio Banderas, the film was also shot right here in Madrid. Madrid has a number of cool arthouse cinemas showing all manner of movies, so here are a few of the very best to visit. Sala Berlanga is named after famous Spanish director Luis García Berlanga, who directed one of the most famous Spanish films ever made: Bienvenido Mister Marshall. The cinema has a busy screening schedule, but is also dedicated to film culture – hosting events, concerts, theater, photography, art exhibitions and more. One of Madrid’s most famous cultural centres, Matadero, is where you will find Cineteca, which specialises in documentary and non-fiction films. The venue also hosts various art and cinema exhibitions, so check out the schedule to see what’s on. 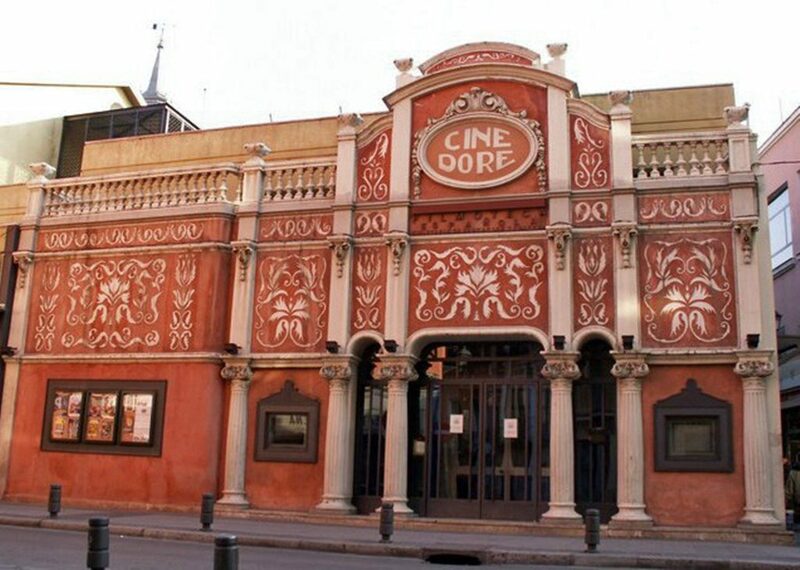 Cine Doré, which dates back to 1912, is actually the home of the national film archives, referred to as the Filmoteca Española. This retro building – one of Madrid’s few examples of Art Deco architecture – shows movies only in their original version with Spanish subtitles. Old favourites, current releases, cult classics and independent films can all be seen here. From June 8-17, 2017, the FilMadrid Festival will take place at various cinemas around the city, including the aforementioned Cine Doré. Movie tickets range from €2.50 to €5 per screening and it’s wise to purchase your tickets in advance. While many of the films are Spanish, there are still plenty of international offerings. From October 12-24, 2017, the grand Festival De Cine will take over Madrid. The 26th edition of the festival will include movie screenings at several of the cinemas mentioned above, as well as other locations around the city. The festival will showcase many Spanish films, some of which are nominated for Goya Awards – Spain’s biggest film prize. The cafe and bookstore Ocho y Medio specialises in all things cinema-related. Here you can find coffee table books, movie magazines, autographed memorabilia, scripts and much more.